Fully welded mobile drawer cabinets, mounted on 4 swivel 125mm castors (2 braked) with blue resilex wheels and roller bearings. 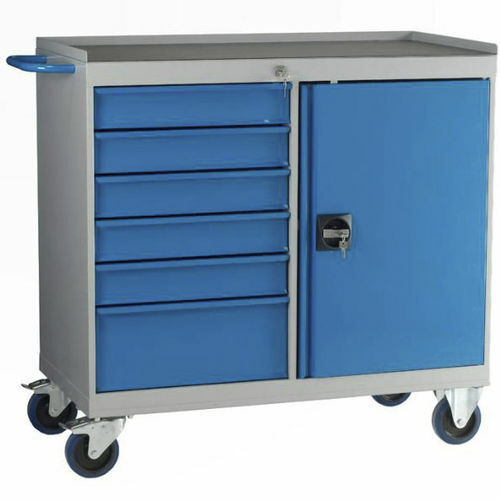 Drawers on telescopic slides with 25kg capacity. Internal drawer size W x D: 425 x 450mm. Drawer heights: 90mm and 185mm. All drawers ready equipped to accept adjustable small parts divider storage system (dividers optional extra - see below). Drawers lockable as a unit, 2 keys provided. Cupboard door fitted with recessed handle with integral lock with 2 rods locking top and bottom, tool panel and 1 adjustable shelf. Fitted with 3 sided lipped tool tray top with cushioned matting (laminate top available as optional extra - see below). 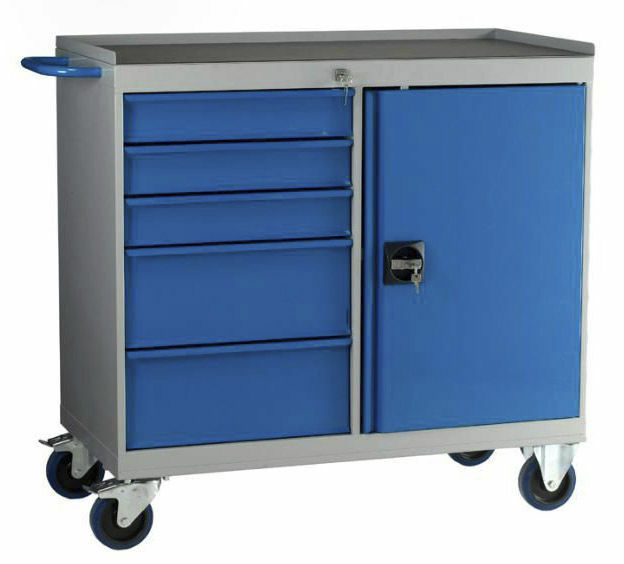 Finish: Grey epoxy body (BS00A05), Blue epoxy drawers (RAL5017).